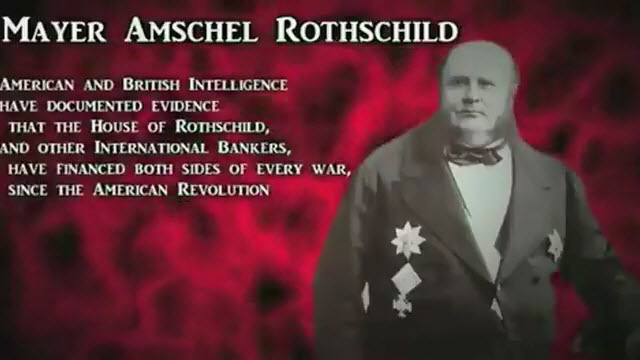 ROTHSCHILDS-JEWISH-MONEY-SYSTEM: HOW IT SCAMS USING FAKED WARS | Concise Politics -- Your Time should NOT be wasted. #1 Wars force Western governments to borrow money at USURY INTEREST from their Jewish-Owned central banks to wage faked wars serving only Jewish/Zionist interests. #2 Jewish owned Media manufacture the reasons for all FAKED WARS using Jewish/Zionist money and Media Resources = Finance false flags like 911 + Sinking the Lusitania ship in WW1 + Financing terrorist groups = AQ + ISIS(L) = Create Faked Reasons for WAR SUPPLEMENTED BY LIES AND PROPAGANDA INCLUDING MOVIES + NETWORK TV + NEWSPAPERS + NOW INTERNET. #3 BRIBERY+LOBBYISTS+THREATS+INTIMIDATION+BLACKMAIL = USED TO FORCE VOTES FOR FAKED WORTHLESS WARS + ZIONIST MEDIA’s ENDLESS Brainwashing by Jewish/Zionist controlled/owned mainstream media & politics. #4 MASSIVE WAR DETS TO ROTHSCHILDS BANKSTERS are paid by American Middle Class TAXES or other Western Middle Classes TAXES + Taxes are often increased to fund the BANKSTER DEBTS = Usury interest Jews extract from MONEY-PULLED-OUT-OF-THIN-AIR with ZERO EFFORT = BIGGEST SCAM EVER INVENTED AND JESUS WAS MURDERED FOR CHASING THE MONEY CHANGERS OUT OF THE TEMPLE! #5 CENTRAL BANKS LEND AT USURY ENDLESS AMOUNTS OF MONEY PULLED OUT OF THIN AIR = THIS CAUSES MASSIVE INFLATION (TAX ON HUMANITY) = JEWISH BANKSTERS THEN IMPOSE INHUMANE AUSTERITY, LIKE GREECE, ON CITIZENS = Done by the Jewish & Zionist controlled governments. #6 BANKSTERS CREATE POVERTY USING BOTH INHUMANE INFLATION AND AUSTERITY = CREATES EVER MORE BANKSTER OWNED DEBT SLAVES FINDING IT NEARLY IMPOSSIBLE TO SURVIVE! = BANKSTER SLAVERY TURNS INTO MORAL SLAVERY. Remember the Rothschilds want a MEDIEVAL SERFDOM with A FEW EXTREMELY RICH (ROTHSCHILDS JEWS) RULING OVER 98% EXTREMELY POVERTY STRICKEN! Of course the TALMUD says the JEWS should MUDER all CHRISTIANS and NON-JEWS keeping just enough to serve their NEEDS FOR SLAVES! #7 ONLY WINNERS = Jewish elitists & ROTHSCHILD BANKSTERS + Even common Jewish people are enslaved by this ROTHSCHILDS-money-system. #8 ROTHSCHILDS CREATED ISRAEL in 1948 with BALFOUR DECLARATION TO ROTHSCHILDS = CREATED TO KEEP THE SUEZ CANAL OPEN + BECAUSE PALESTINE IS AT THE HEART OF BIG OIL REGION + PALESTINE IS AT HEART OF THE TRADE ROUTE BETWEEN EAST AND WEST + ISRAEL IS A PERFECT TOOL FOR ROTHSCHILDS FAKED WARS USING PEOPLE WITH NEAR ZERO MORALS! 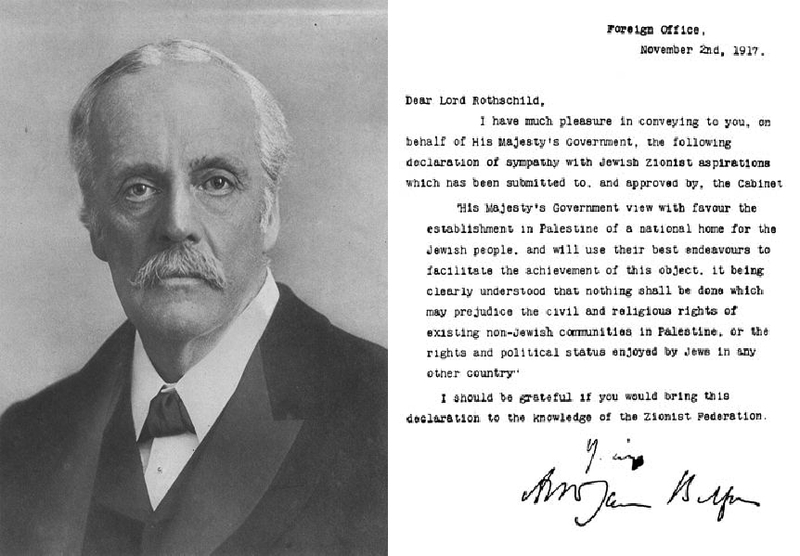 “Balfour Declaration” = Made by UK’s Foreign Secretary Arthur Balfour to Walter Rothschild declaring that a state for the Jews will be created on top of Palestinians. #9 ROTHSCHILDS NEVER LOSE ANY WAR AS THEY FUND BOTH SIDES (EVEN CREATING THE ENEMIES TO FUND) AND GAIN FROM THE SALE OF WEAPONS + AMMUNITION + DRUGS + OIL + LOGISTICS AND SUPPLIES + FAKED OVERCHARGED NATION-BUILDING! This entry was posted in ROTHSCHILDS-JEWISH-MONEY-SYSTEM: HOW IT SCAMS USING FAKED WARS and tagged ROTHSCHILDS-JEWISH-MONEY-SYSTEM: HOW IT SCAMS USING FAKED WARS. Bookmark the permalink.